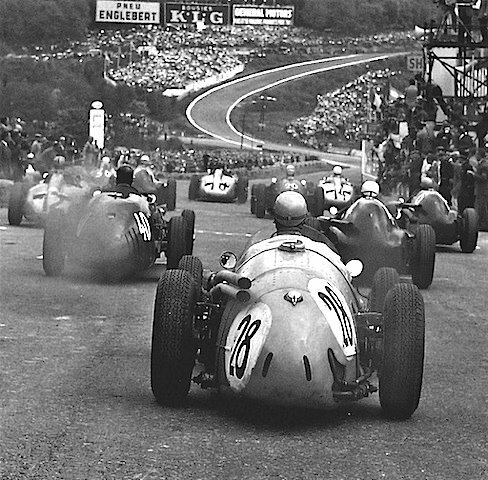 Moss (Maserati 250F) and Fangio (Mercedes W196) up front. Mike Hawthorn (40) in the Vanwall VW55. No. 28 is the Maserati of Louis Rosier. Eugenio Castellotti set pole position, but Fangio won the race and set the fastest lap.